Transform the physical body by moving it with conscious awareness to a higher wave, higher vibration, higher octave…. 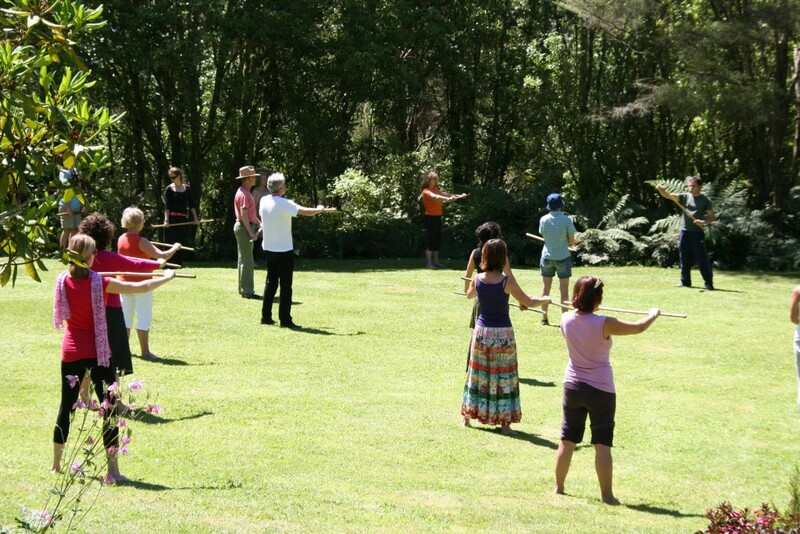 The practice of ‘The Way of the Spiritual Warrior’ uses body movements and a bamboo stick or wooden sword. Its aim is to develop Higher Consciousness through Meditation in Action, thus aligning the energies of Earth and Heaven. Using ancient Runes and Cosmic Symbols, we integrate the Higher Realms with our bodies, and with the Earth. In this way we develop strength, perseverance and compassion. ‘The Way of the Spiritual Warrior’ is a Way of Peace; it discriminates right from wrong, to help bring Truth and Light into ourselves and into the World. Imre Vallyon also discovered the ancient relationship between sword and body movements and the primordial energy patterns of very ancient Hungarian Rune figures through an inner revelation.